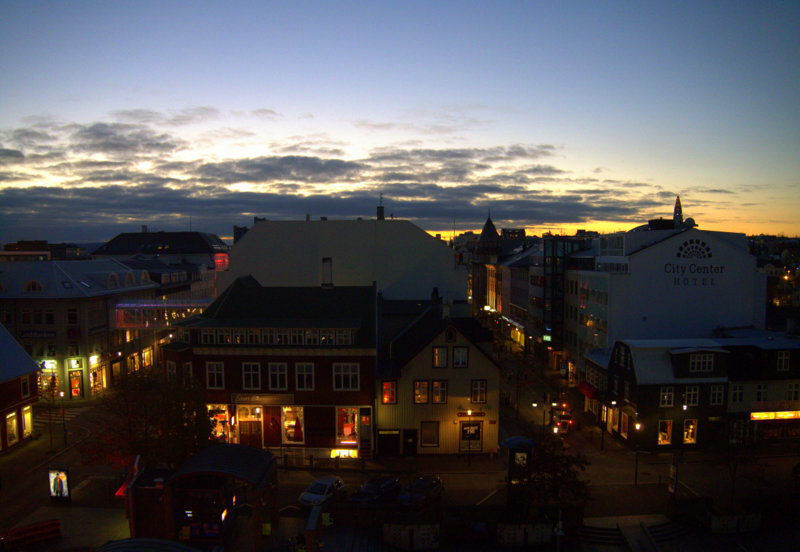 We arrived in Reykjavik late at night. We were tired, sleepy, and cold. And as such, we made a very foolish decision: to take a cab from Keflavik (Airport) to Reykjavik. These two cities may rhyme but they are are miles and miles, (and $$$ ) apart. This was probably the most expensive cab ride we had ever taken. So kids, learn your lesson and take a shuttle bus! 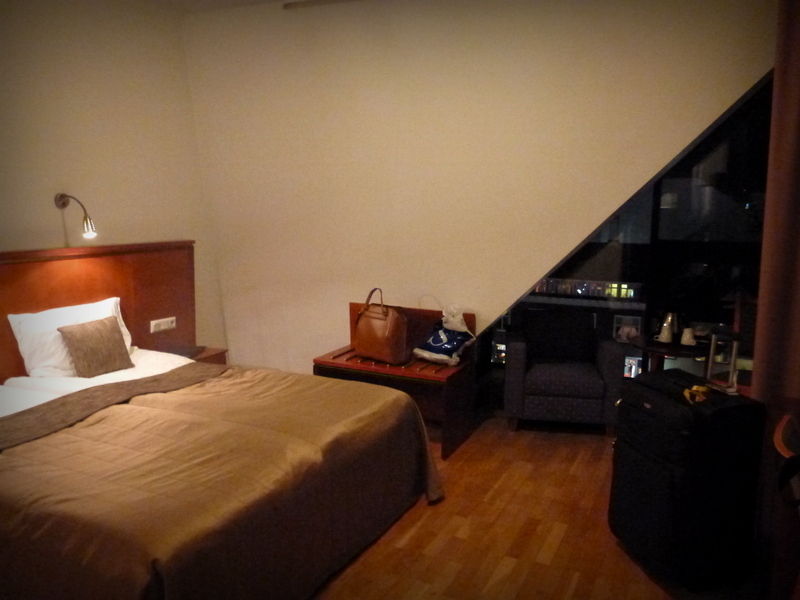 While the cab ride proved to be shocking, the hotel we stayed at on our first 2 nights was at least very comforting. 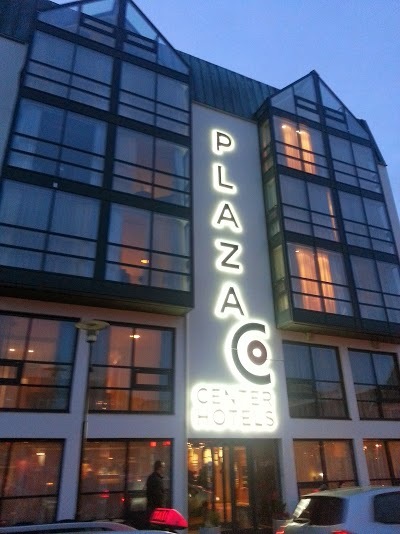 True to its name, Center Hotel Plaza is in the downtown area of Reykjavik, in what I would call the “Old Town” part of the centre. Central Reykjavik is very small, so when I say “Old Town” part, the “modern” part of the center is just a mere 2 minutes walk away. The room is medium-sized. I do love the colour scheme of the room. The room has a heater (this is a MUST! ), and my only gripe is that the bed is made up of 2 joined twin sized beds. Winter Wonderland! (almost) . 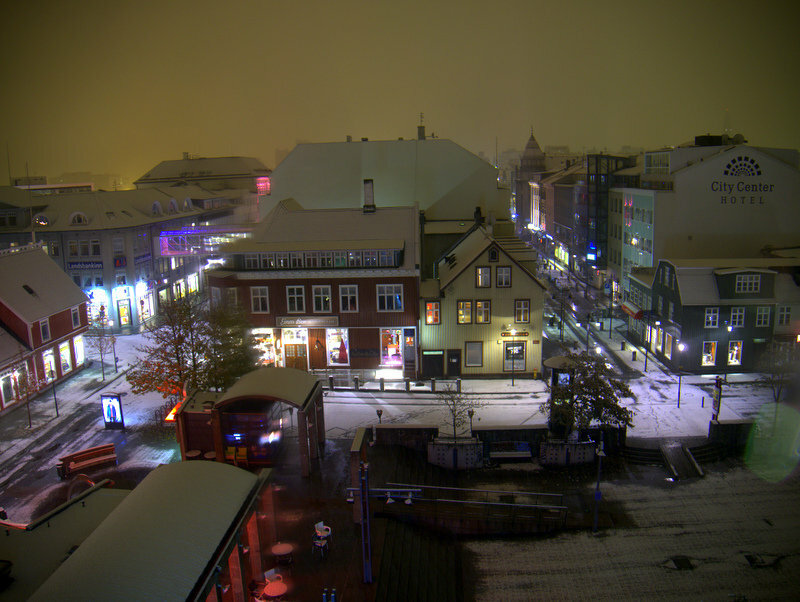 Reykjavik’s first snow for 2013. This is the best part about staying here. Opening the windows every morning was just pure magic! 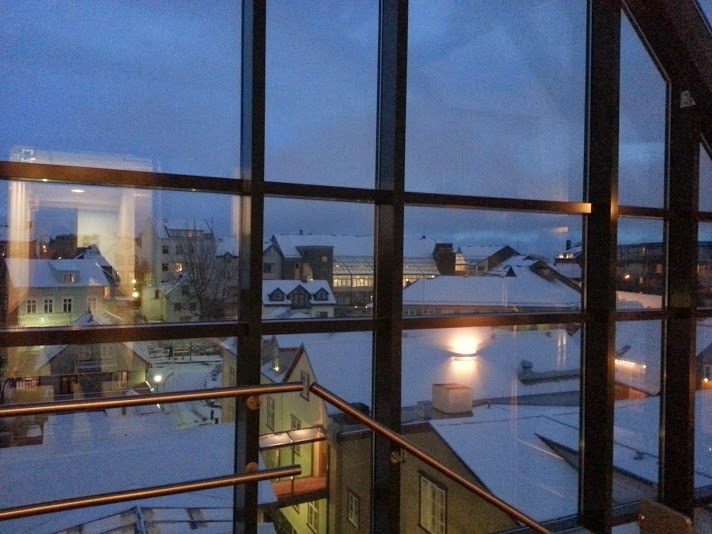 It snowed on our second day, and it was also Reykjavik’s first snow for the year 2013. Actually, this is what I love most about Center Hotel Plaza. 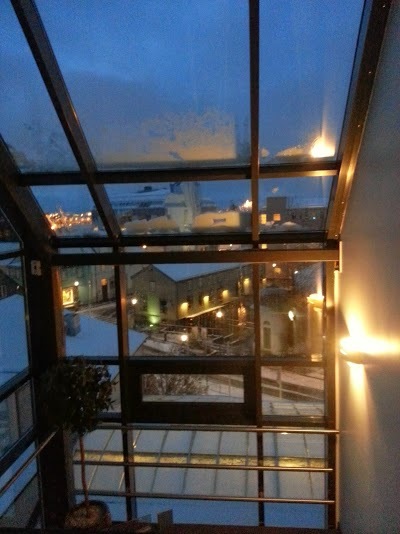 The building itself is almost transparent, so it wasn’t uncommon for me to find myself stopping in various parts of the hotel (especially the lift area), to admire the view of Reykjavik, especially early in the morning. 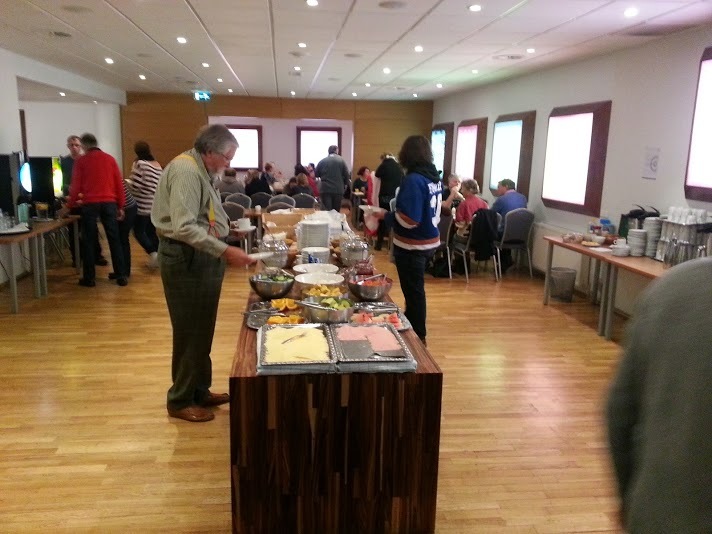 Majority of the guests in Center Hotel Reykjavik are groups. While we were there, we saw sports teams, schools, convention attendees, etc. The breakfast hall/mess gets busy very early in the morning, so I do suggest starting early if you are the type who eats breakfast in peace. 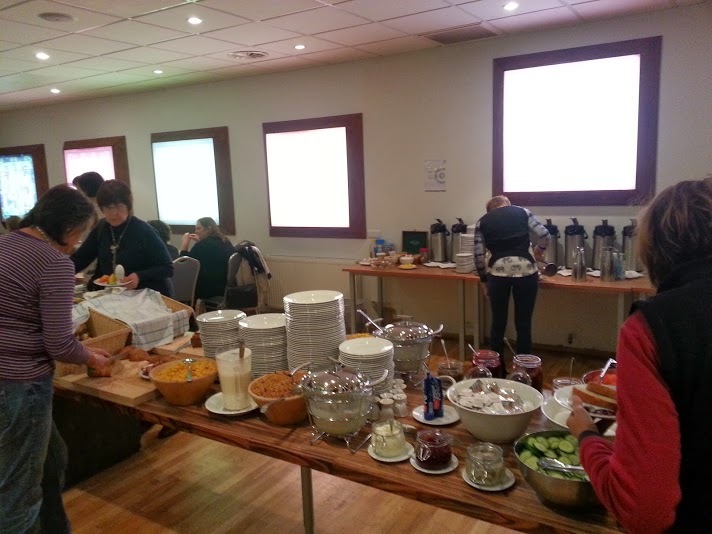 Food never runs out though, there were always heaps of servings. As for me, my breakfasts were always hurried because I needed to sleep in (if you could call 6:30 a sleep-in!) and most of the activities I joined started real early too. 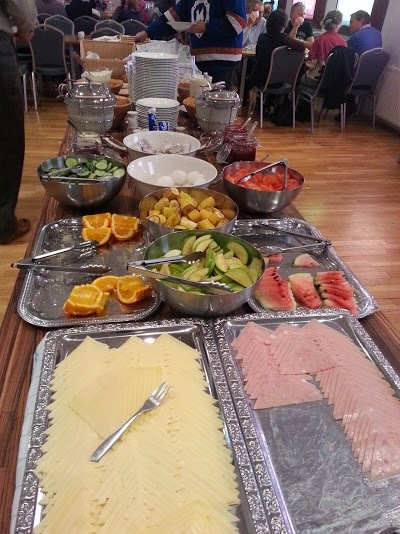 This bustling and busy hotel is perfect for those whose itinerary in Reykjavik is action packed. The hotel reception is used to early morning starts and pick-ups from various tour companies. The central location cannot be beaten with convenience shops and restaurants surrounding it. 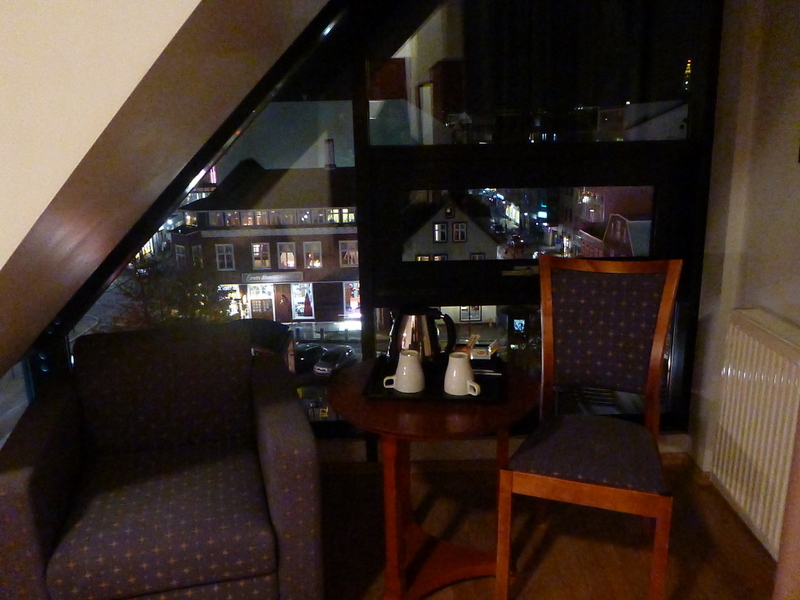 I had a very busy schedule in Reykjavik and Center Hotel Plaza served the perfect location. Efficient in the mornings, comfortable in the evenings for a full night’s recharge to get ready for the next day’s activities.